Potholes are a nightmare. Every driver knows it. There is no greater advertisement for the fact than to go for a drive until you hit one. Montreal. Obvious when you put it like that. 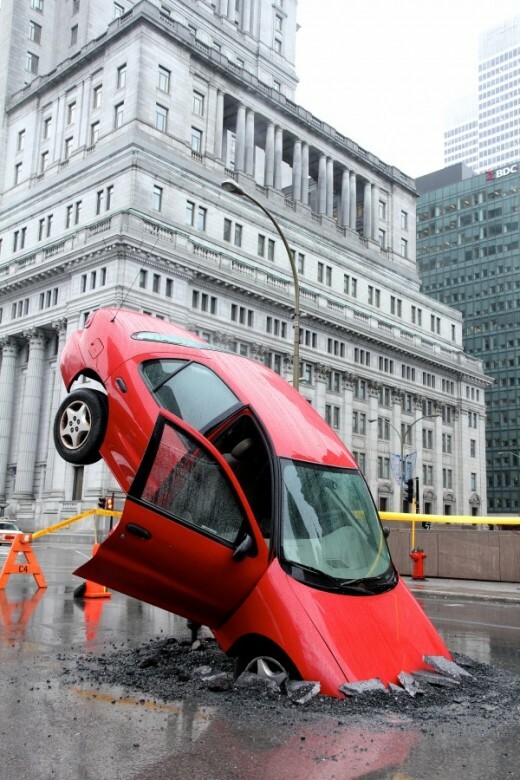 The car has been pot-fallen to coincide with the start of Canadian ‘Pothole Season’ – a social scheme which encourages motorists to swerve the regular reaction to potholes (creatively evasive driving maneuvers, aggressive swearing/hand gestures etc.) and report them instead so that other drivers will not fall foul of them. 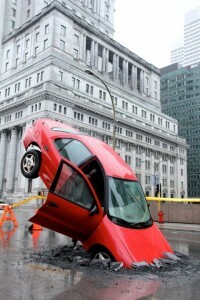 Combined, the app and site currently account for over 2,700 potholes and with Montreal motorists almost unable to miss the scheme's accompanying PR stunt, that number is sure to rise.